Hmm. Time for a new avatar me thinks..
Because widebody 330, and since the M has been gone a while now. 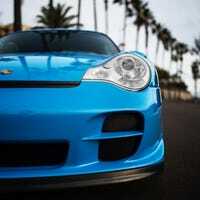 Time to show the 996 some love. Also this is pre-paint correction so don't hate. Headed west on Miramar Road in San Diego as I pulled off base. Looked to have nothing but the display plates. It looks gorgeous in person, and sounds much like an Enzo. I was too stunned to get a picture and was headed the opposite way. Can't wait to see it up close. So about 6 months ago, I picked up my second E46 M3 (or third technically, but I don't count cars that I buy specifically to flip) . SOOOO... I got another E46 M3 this week! That's not a Lambo gebroni. Any help posting to opposite lock?